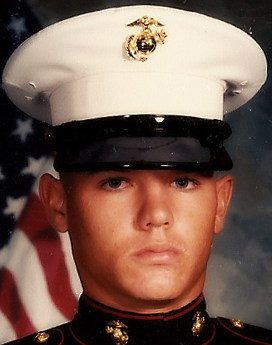 Marine Gunnery Sergeant Jonathan W. Gifford, of Palm Bay, Florida was assigned to the 2nd Marine Special Operations Battalion, Camp Lejeune, North Carolina. He was serving as a MARSOC “Raiders” Critical Skills Operator under Operation Enduring Freedom. On July 29, 2012, GySgt Gifford and another soldier were killed while conducting combat operations in Badghis province, Afghanistan. He was 34 years old. Four of GySgt Gifford’s sons are previous recipients of the Folds of Honor Children’s Fund Scholarship.